Lakeside at Ansley, located just off of Cox Road, is an exclusive, private community with homes built in the 00s. Homes in Lakeside at Ansley are spacious and large, each demonstrating a different style. 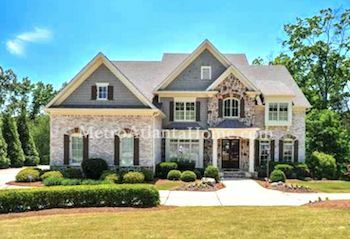 Construction is mainly brick and feature unique architectural touches such as columns, large front porches, and stone accents. Common home styles include traditional two-story, Colonial, Tudor, and country. 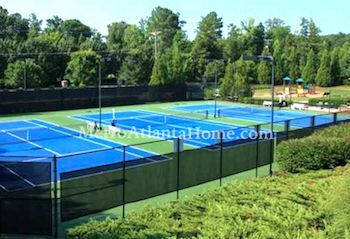 Lakeside at Ansley is a gated community that offers its residents amenities such as a clubhouse, park, playground, 24-hour security, a swimming pool with swim team, and tennis courts. Schools for Lakeside at Ansley include Sweet Apple Elementary, Elkins Pointe Middle, and Roswell High. Lakeside at Ansley is in a prime location, close to numerous parks and recreation areas as well as plenty of shopping and dining options. Highway 92 is a short drive away, as is Highway 140.